The term “thermostat” is usually used to refer to a home A/C controller on the wall; therefore, most people think that the cars thermostat is located inside the vehicle. It’s true that the car has temperature inside the cabin, but the engine has it’s own temperature regulation. Honda, as well as other vehicles have ideal temperature ranges in which the engine must be cooled. This takes place through a complex system of regulatory methods to keep the engine from overheating. 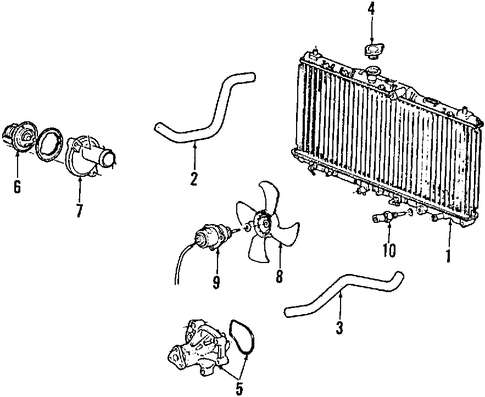 The “thermostat” is the typically the part that can wear and cause the engine to overheat. Many times this is seen when the car begins to overheat while in idle, but cools down when the vehicle is moving – a faulty thermostat might be to blame. Don’t take our word for it, it’s best to consult with a certified Honda specialist to diagnose the problem. A replacement thermostat is a relatively inexpensive item and compared with the damage it can cause it’s worth fixing ASAP. We carry a selection of OEM thermostats for various Honda models.